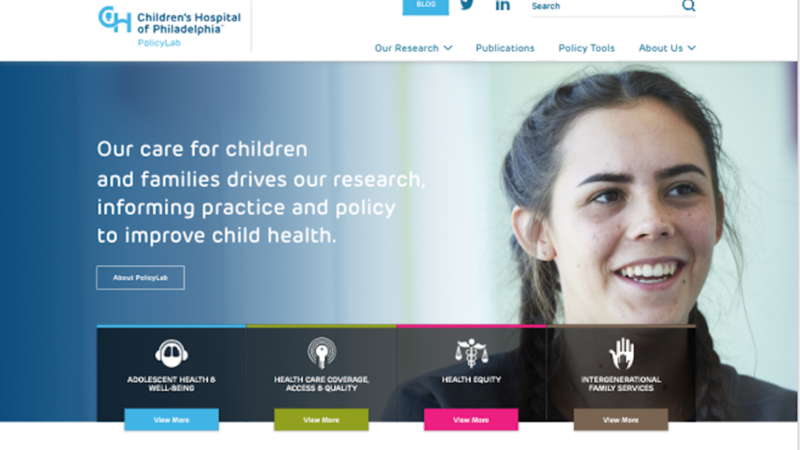 The PolicyLab project was a revamp of an existing Drupal theme built for the Children's Hospital of Philadelphia (CHoP) while consulting with Eastern Standard. 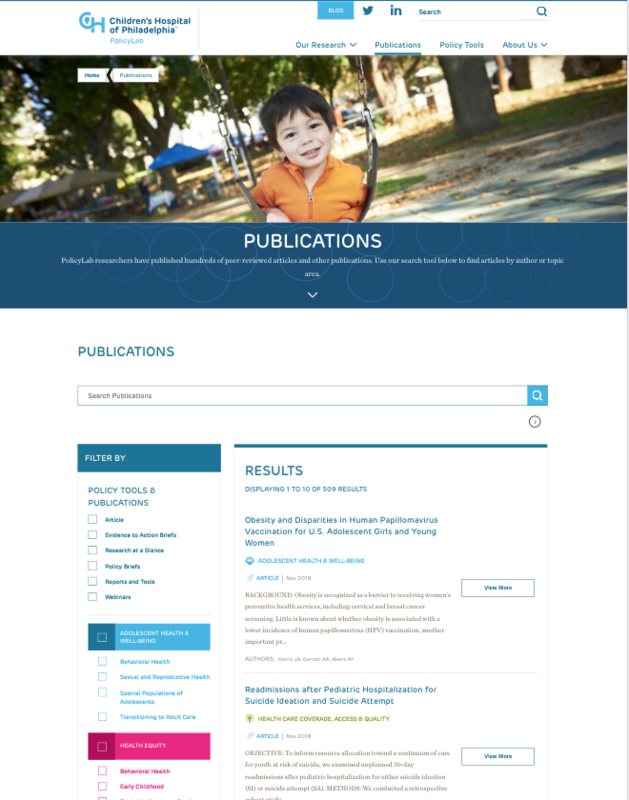 The project involved migration from an old site from three primary categories to four completely different categories for research articles, publications, and other media related to research into pediatric health topics. 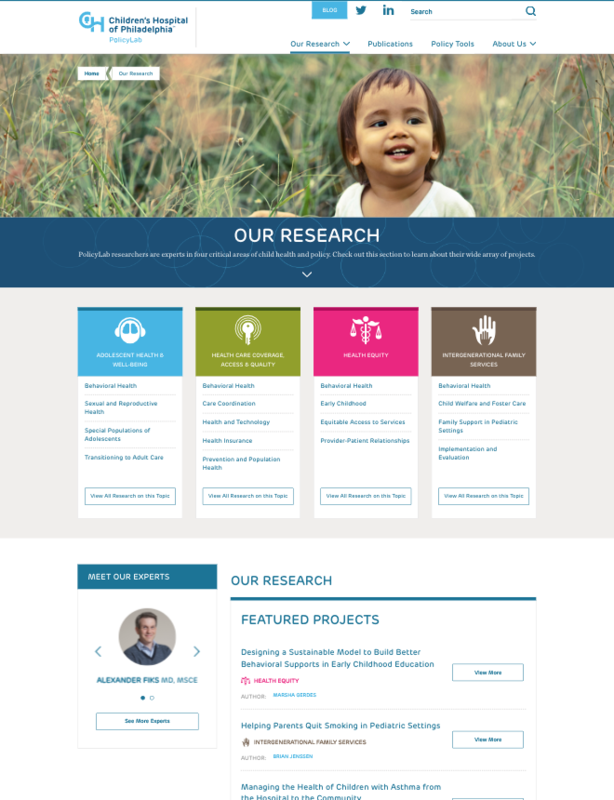 The custom Drupal theme was revamped to a new design including various elements like signup forms and carousels. 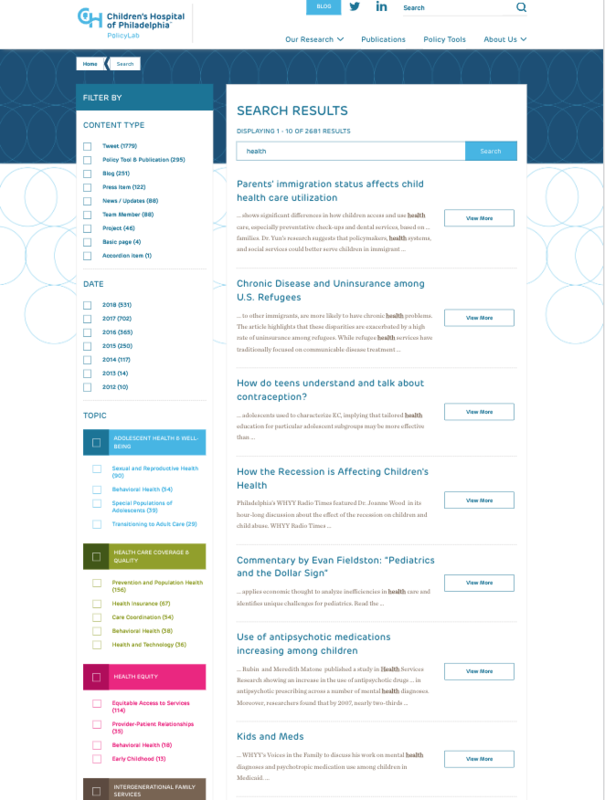 Some new features were added as well, including a category filter on the search index page as well as the landing pages for the main content groups including research articles, projects, publications, experts, and webinars.